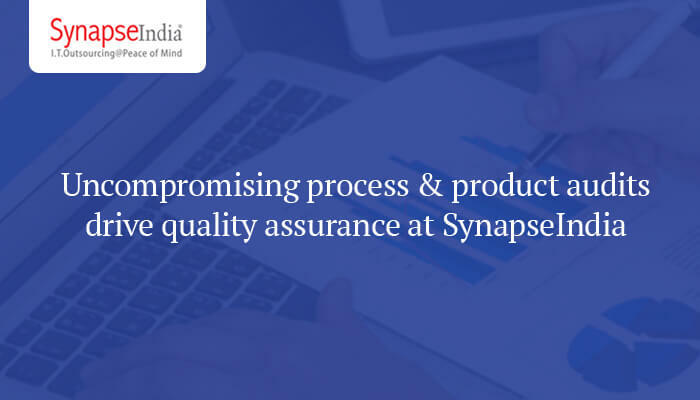 Development processes at SynapseIndia are guided by the principle of service quality. In fact, the quality of products remains a prime concern at every stage of the software development process. A comprehensive range of quality assurance and control practices are in place to ensure desired quality. All testing processes for software development are designed to make sure that all clients get product implementation without even with a minor flaw. Process audit plays a critical role in constantly achieving quality goals. We have a team of highly experienced quality assurance professionals with an eye for detail. They can detect even the minutest flaw in the development process. The professionals monitor the entire software development life cycle, closing observing every single step. In addition to these, a “unit testing” process runs through the development process. This enables teams to regulates the functionality and quality of products during development. All the product and process audit measures help secure the adherence to SDLC methods and international quality standards. The diverse experience of our auditors across various projects ensures that all kinds of development get equal scrutiny and expertise. Also, we maintain the ISO 9001:2015 certification that reflects our competence to follow the most widely accepted quality standards in the world. It also attests our commitment to meet clients' expectations for service quality. Arpit Goyal, an online promotion expert, carries huge experience in Personal Product Branding, Business Branding, negative reviews & complaints removal. His keen interest in knowing the current industry trends helps him in understanding the nature of the users, enabling him to improve the online image of the brands.